Take a moment to check out some of the bathroom and kitchen remodeling projects we have completed near you. 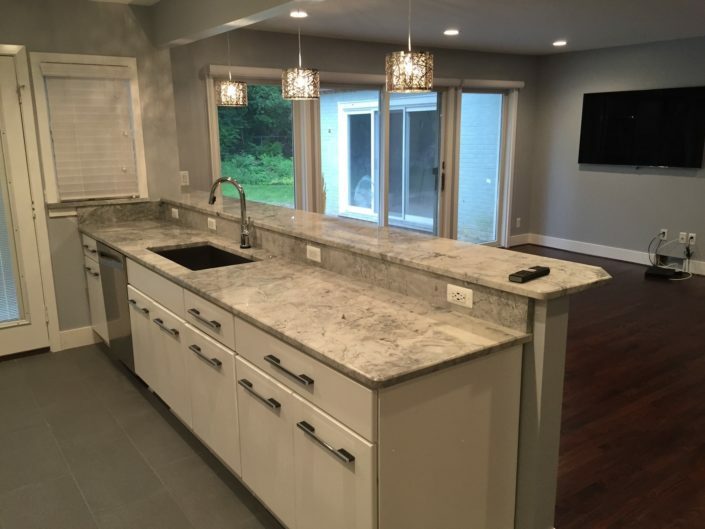 This beautiful kitchen renovation project that we installed in Novi Michigan features quality kitchen cabinets and countertops, along with hard wood flooring and recessed lighting. These premium granite countertops were installed in a Bloomfield home along with some custom cabinets and gorgeous lighting fixtures. This bathroom remodeling project in Wixom MI features sleek modern cabinets and countertops and some contrasting floor tiles. 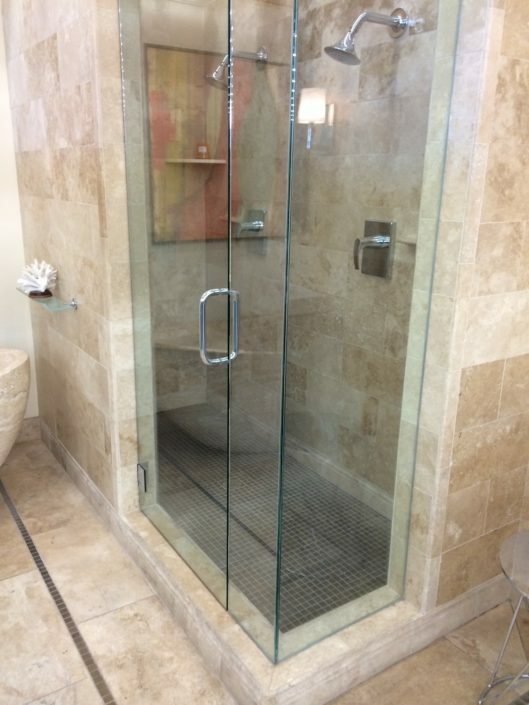 This is a custom glass shower door that we installed in Novi. 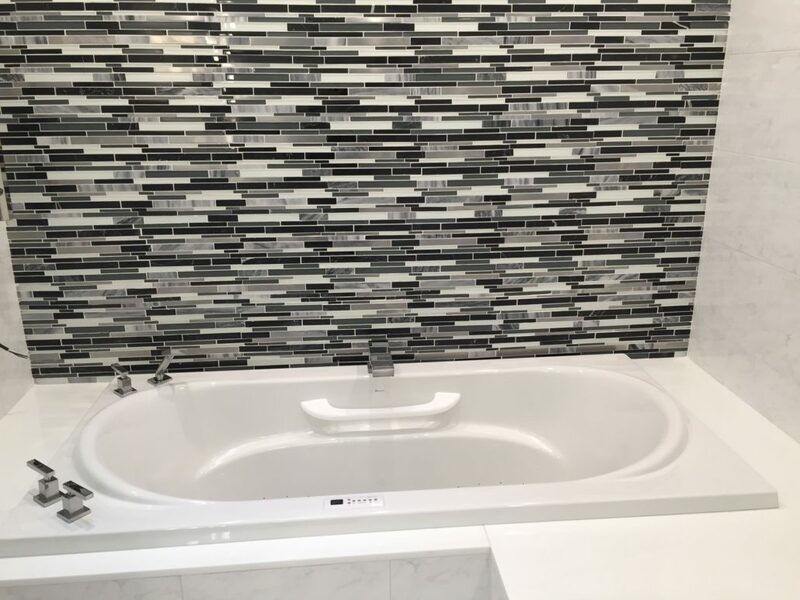 What a great touch up to an already beautiful bathroom. 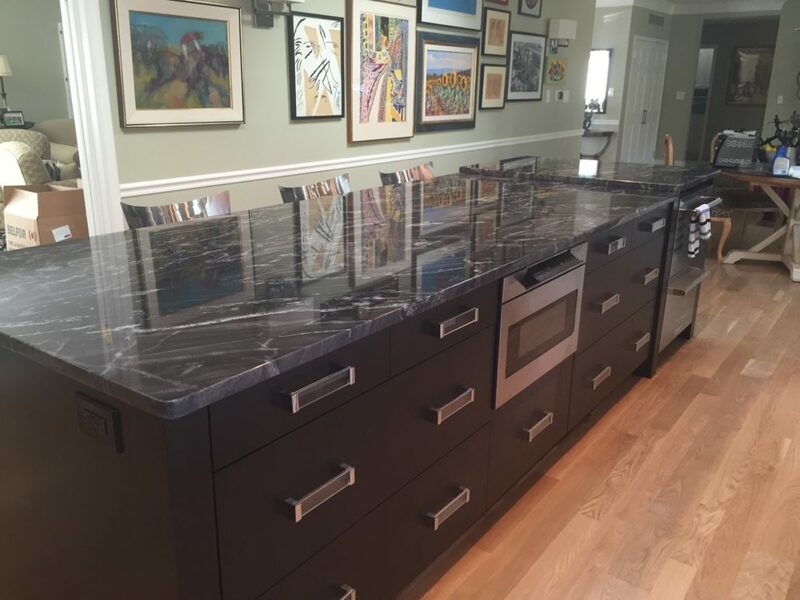 Here is a beautiful combination of dark cabinets and granite countertop that we installed in South Lyon Michigan. 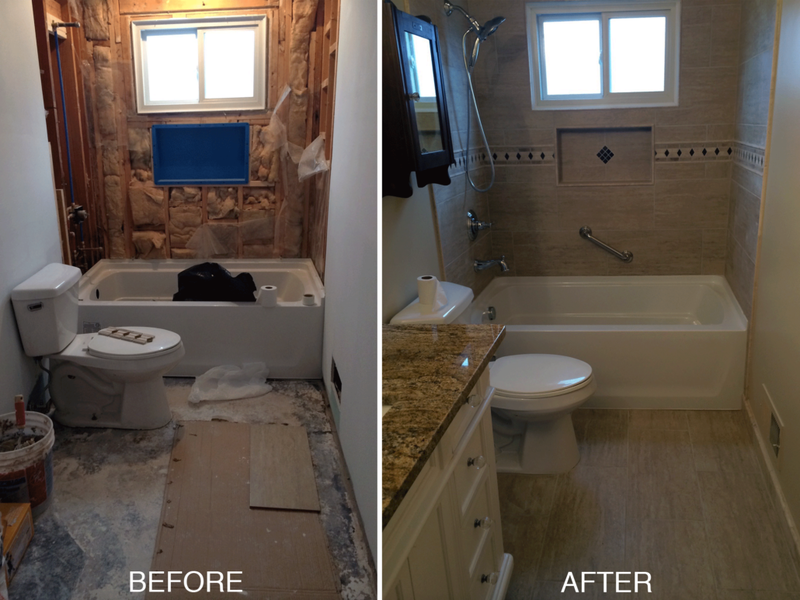 Here is a before and after bathroom remodeling project that we performed in Royal Oak. We can do the same for your bathroom! This is one perfect example of how great our floor tile and lighting installation services can bring your kitchen to life. 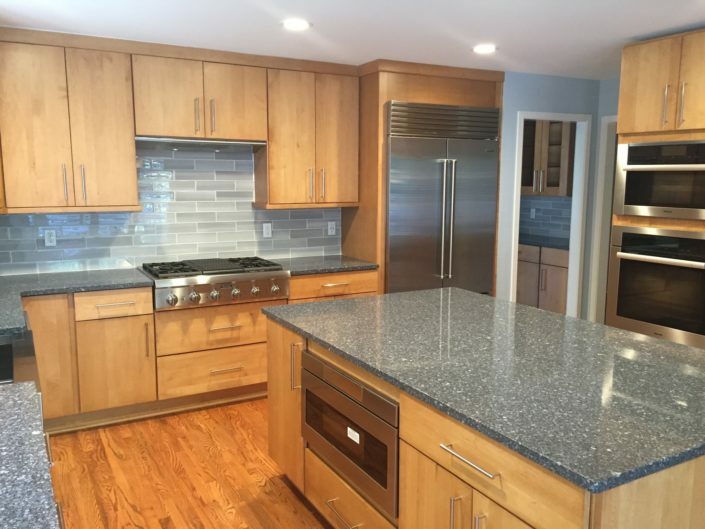 This perfect kitchen renovation was performed in Birmingham Michigan. This modern kitchen that we designed and installed in Troy, MI is one of our favorites! 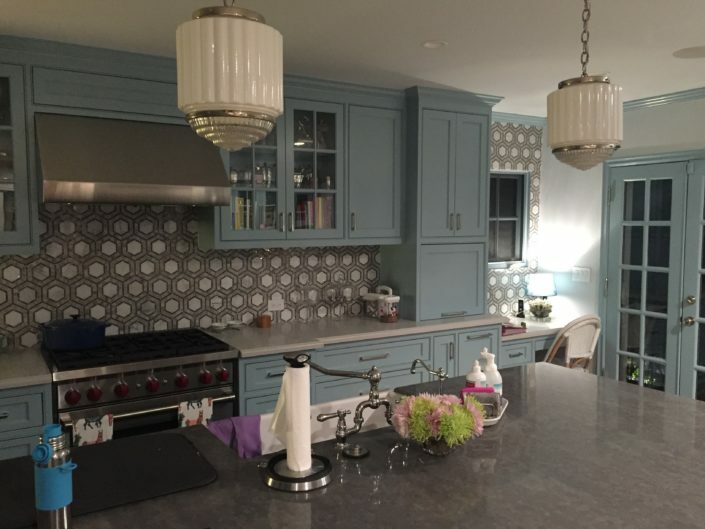 Nothing says home cooking like this country kitchen design that we installed in Farmington Hills. 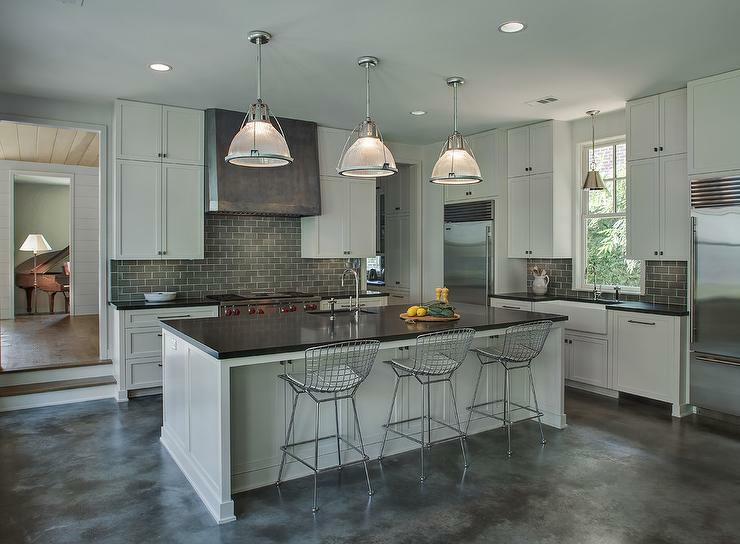 It is the perfect blend of cabinetry, lighting, countertops, and back-splash. This high quality granite countertop was installed in a home in Bloomfield with a nice back-splash to add some pop to the kitchen. Here is a perfect example of what our glass shower doors can do for your bathroom. 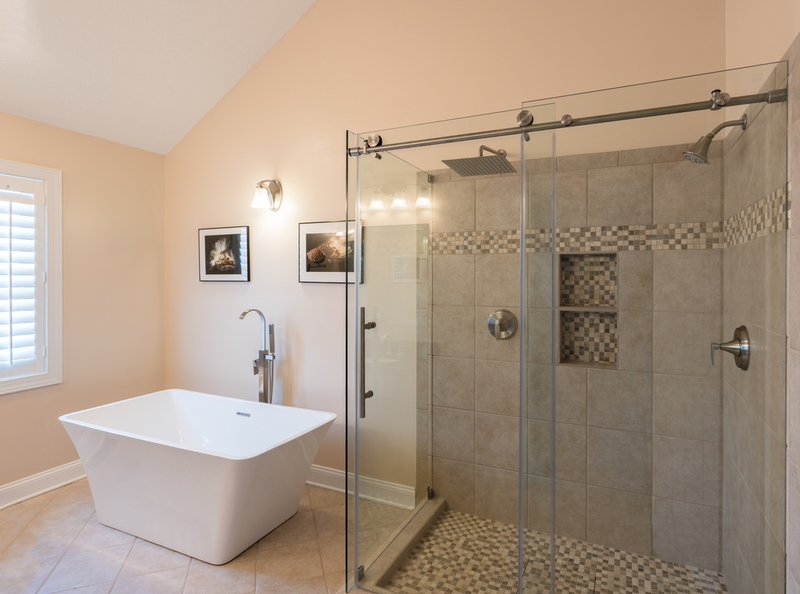 This Novi home went with a modern style tub and beautiful shower enclosure. Nothing spices up the shower of this Livonia home like some high quality wall tiling. 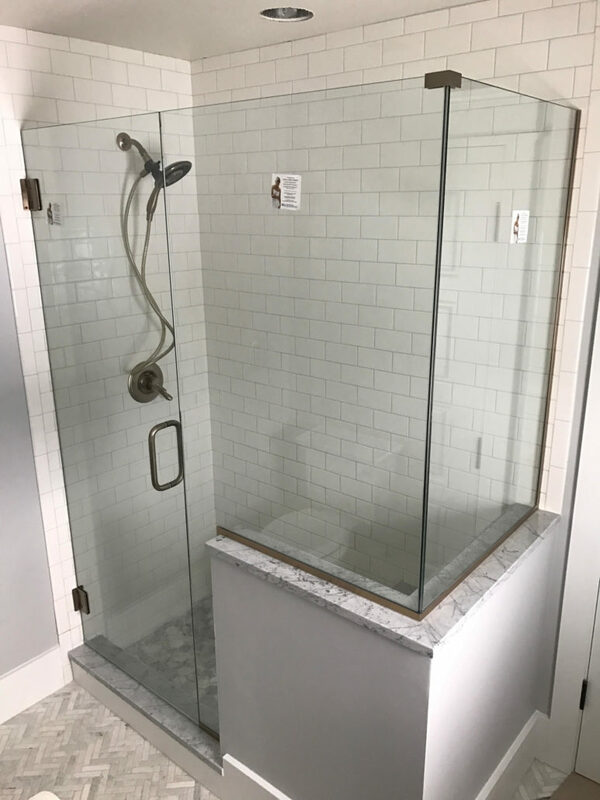 This is a full bathroom remodeling project that we performed in Rochester hills that features one of our favorite glass shower doors. This homeowner in Macomb Michigan wanted us to give them a new shower enclosure in their current bathroom. We called it a great success! 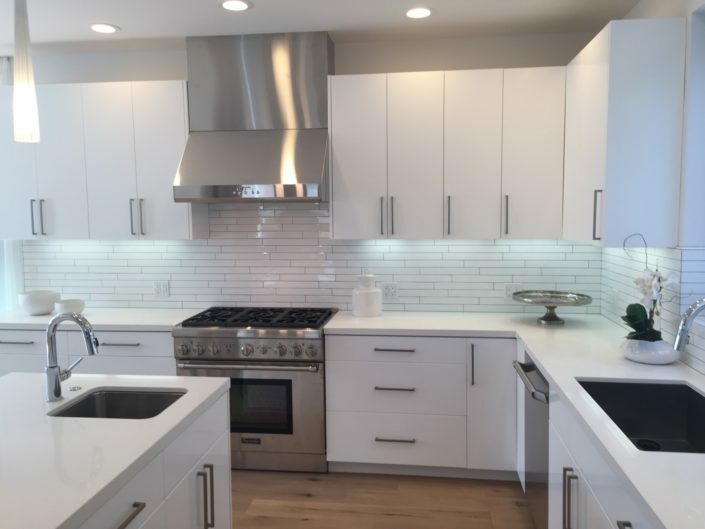 This modern kitchen is one that we designed and installed in Saint Clair Shores. 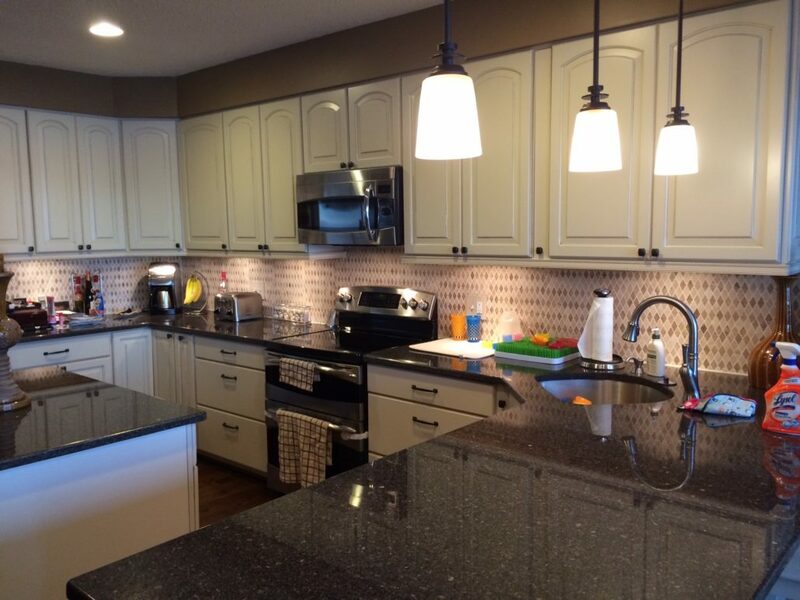 It features some of our top sold cabinets, countertops, and floor tiling. Cant forget the recessed lighting. 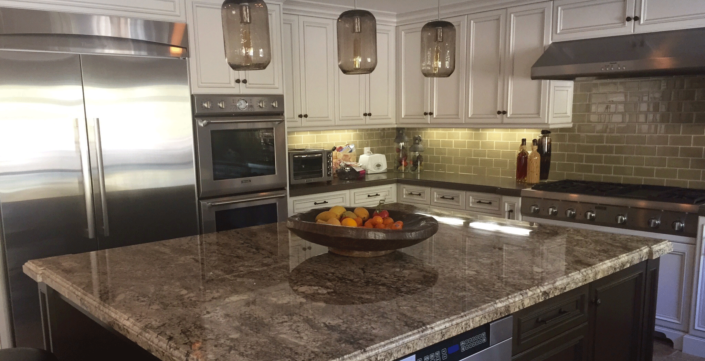 This home in Beverly Hills Michigan showcases some comfy and subtle countertops and cabinets. 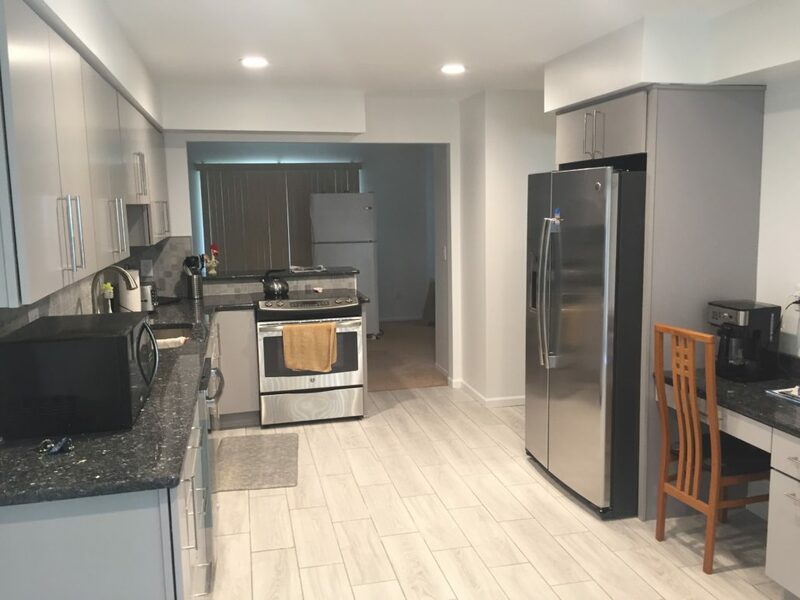 Notice how the lighting finishes this area. 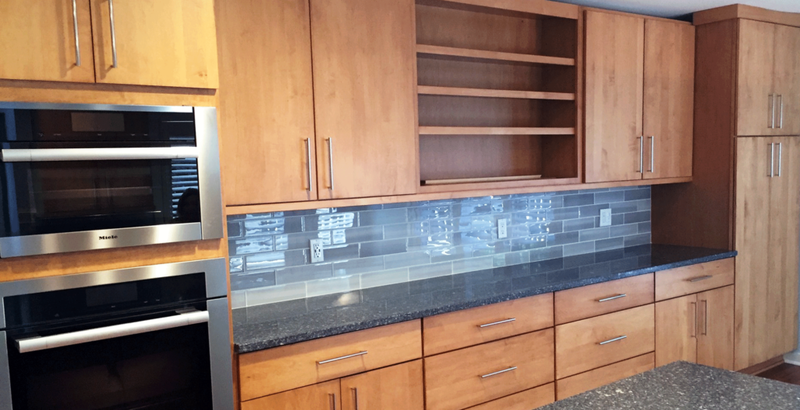 There is no space in your kitchen or pantry that we cannot design the perfect cabinet space for. Sometimes one sink is just not enough. 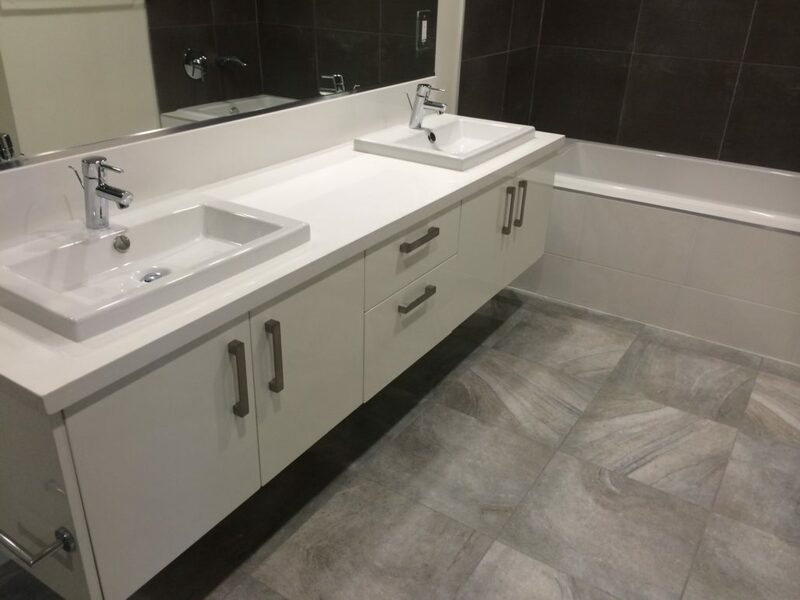 This bathroom remodeling project in Auburn Hills features a stunning dual sink bathroom renovation with perfectly matched floor tiling. 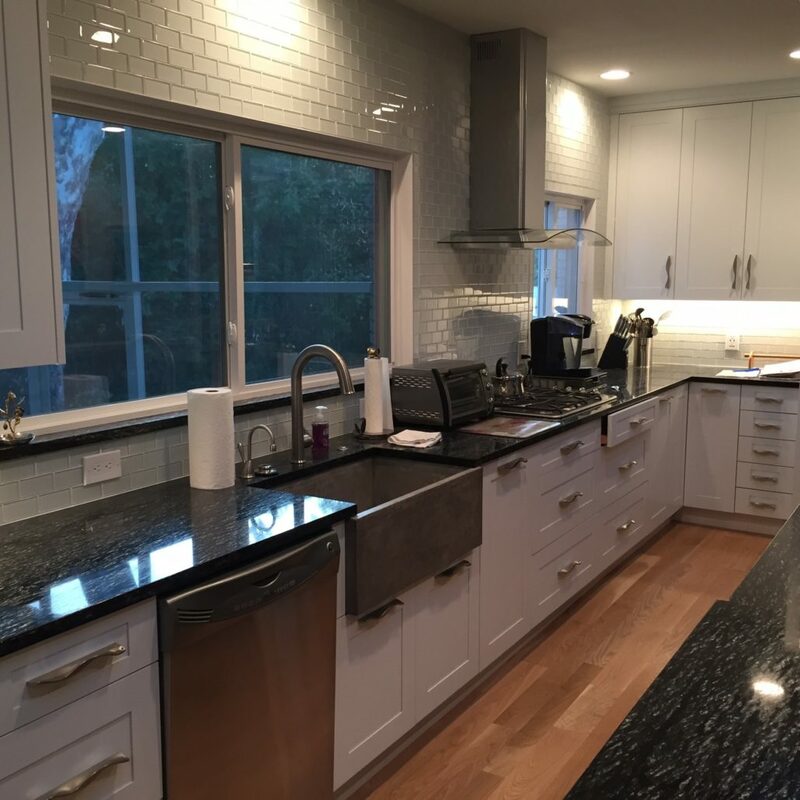 This open kitchen design can be found in Sterling Heights and features all of our kitchen remodeling products from the floor up. Just beautiful. If you like some spice in your life like this Hiland, MI. 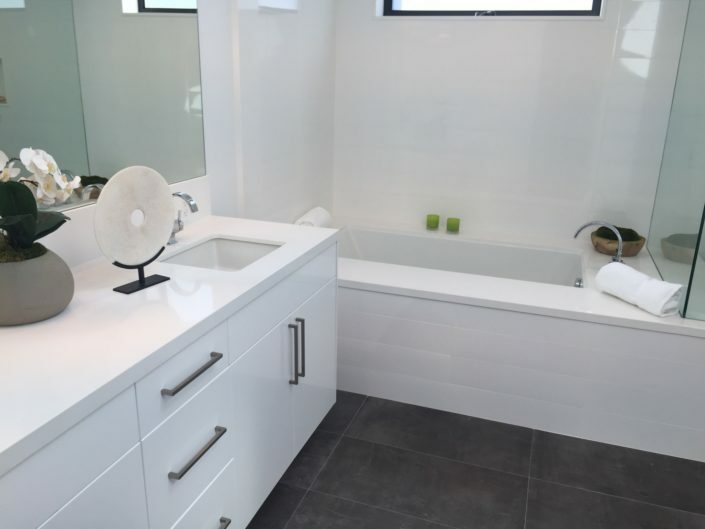 homeowner, we have the perfect tile designs for you. This is a complete kitchen makeover that we did in Whitemore Lake. 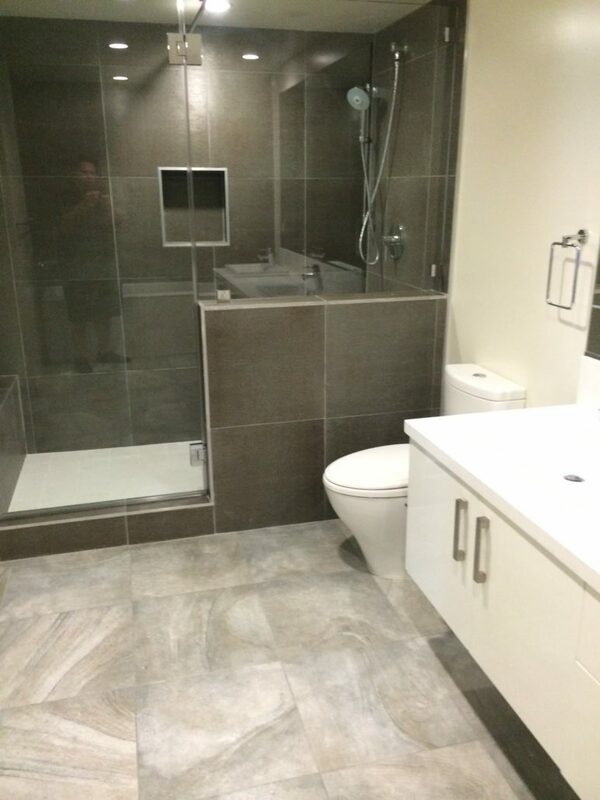 Another display of our "ground up" renovation products/service. 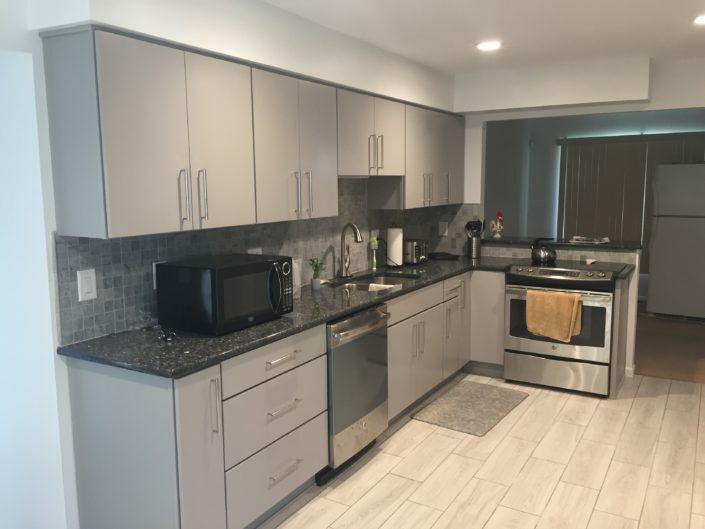 Small kitchens are no exception. 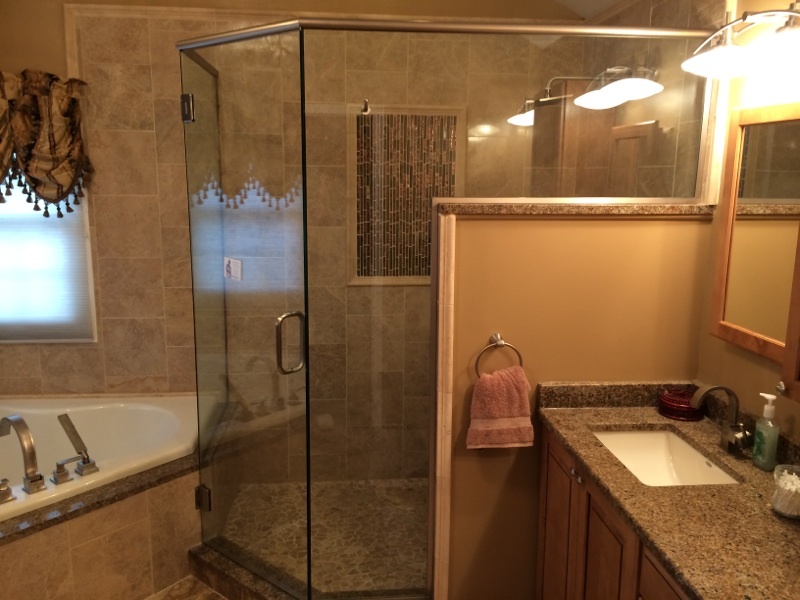 Here is one that we designed and installed in Howell Michigan that turned out beautifully. 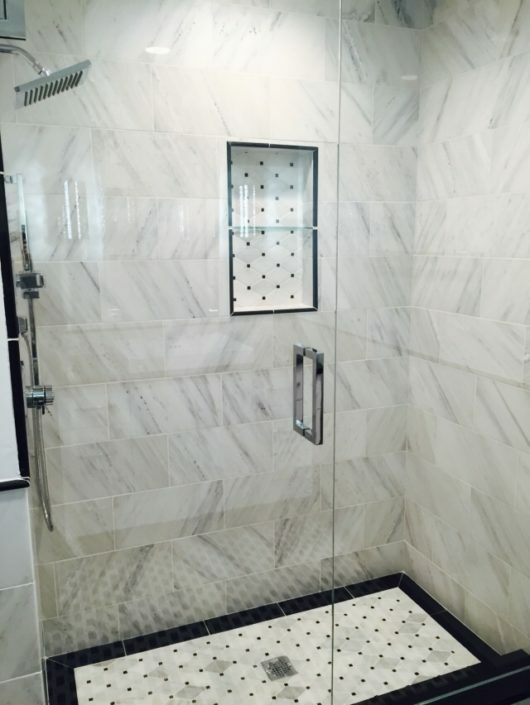 Sometimes you just need a beautiful corner glass shower enclosure to get rid of that pesky shower curtain. Just ask this satisfied customer we had in Livonia MI. Like what you see? Fill out the form below and we would be happy to give you a free quote for your upcoming project.